A practical fiber optic digital audio cable for any home entertainment system, the Mediabridge MPC-TOS-6 provides users an easy connection to any standard DVD, CD, and Blu-ray player. Fully compatible with any S/PDIF ADATs, Dolby Digital, and DTS audio device, this fiber optic cable includes two gold-plated and corrosion-resistant TOSLINK connections on each end of a 6-foot long cable. Easy to install, simply plug the TOSLINK connector directly into a gaming console, home theater receiver, preamplifier, and more. The Mediabridge MPC-TOS-6 features a PVC outer layer for increased durability and buffer tubing for premium signal transfer. This fiber optic cable additionally provides a natural sound quality, free of distortion. A durable fiber optic cable with a 6 1/2-foot length, the Monster MC 400DFO-2M provides users premium sound with less dispersion and greater fullness. Equipped with two TOSLINK connectors and a Duraflex protective jacket, this fiber optic cable is equally strong and pliable. Simply connect this fiber optic cable to a CD player or compatible audio device to enjoy distortion-free, natural sound. The Monster MC 400DFO-2M fiber optic cable uniquely features an interior InsuLight jacket to aid in the reduction of digital jitter reproduction. Quick to install, this fiber optic cable additionally includes an easy to handle O-ring connector for added grip. Fully compatible with many home entertainment systems, the Rocketfish RF-G1218 fiber optic audio cable is best suited for high-definition devices, such as DVD, Blu-Ray players, audio and video receivers, gaming consoles, and more. Fashioned with two TOSLINK digital audio connectors, this fiber optic cable sends digital sound within a flexible and lightweight cable. Practical and easy to install, this fiber optic cable provides users 4 feet of cable to transform a surround sound system into a theater experience. Capable of delivering consistent, quality sound, the Rocketfish RF-G1218 fiber optic cable provides users fast digital transfer. Creatively designed to improve the dynamic experience of a surround sound system, the Dynex DX-AD128 fiber optic audio cable provides users 6 feet of durable cable to quickly connect to most digital sound equipment. 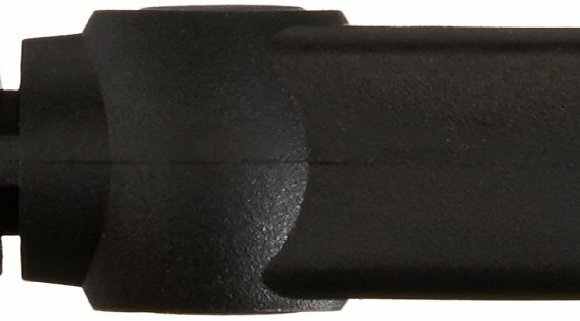 Capable of sending audio signals through two TOSLINK connector jacks, this fiber optic cable provides premium sound from any compatible audio and video device. This fiber optic cable includes a lightweight, highly pliable external jacket and grip connectors for secure maneuvering and installation. Innovative and effective, the Dynex DX-AD128 fiber optic cable also provides users natural sound improvement for a reasonable price. A fiber optic audio cable with two different gold-plated collar connectors, the Cables to Go 27016 features one TOSLINK connector and one 3.5 mm male digital audio jack on either end of 6 1/2 feet of cable. Wrapped in flexible PVC, this fiber optic cable is durable enough to last for years of use. This fiber optic cable is further equipped with a 1 mm core for improved digital signal with less overall distortion. The Cables to Go 27016 fiber optic cable is fully compatible with most DVD and CD players, along with high-definition game consoles and additional digital audio devices. This fiber optic cable additionally features rubber grips for quick and easy installation. Shoppers can access helpful information on the top fiber optic cables and how to purchase them directly on eBay. Start shopping by browsing the extensive collection of cables and connectors available, or search for a specific fiber optic cable with a direct keyword search. Easily narrow each search result with convenient filters, such as fiber type, cable length, preferred connectors, and desired price. To find the best prices on fiber optic cables, visit eBay Daily Deals, designed for shoppers who want to find a particular product for the lowest price. Whether a shopper is searching for a single-mode cable or a multi-mode cable, eBay makes it simple to find the right fiber optic cable for any budget or application.